Kids enrolled in the Digital Connectors program completed final video projects. As the school year draws to a close, kids all over Thurston County are working on final projects of various subjects, mediums, and scope. At the Lacey branch of the Boys & Girls Clubs of Thurston County, participants in a technology program are also working on a final project, one that draws on a year of intensive technology curriculum designed by Comcast’s Digital Connectors program. 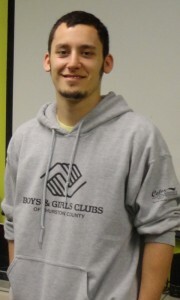 Mason Basset leads Comcast’s Digital Connectors program at the Lacey Boys & Girls Clubs. The program gives kids technical literacy skills that they can then apply outside the club. Two years ago, the Lacey Boys & Girls Club branch applied for and won a grant to provide Digital Connectors in the Olympia area. The national program, created to help communities understand the benefits of broadband, makes it possible for young adults ages 14 to 21 to develop their skills in using computers, applications, and the Internet, and then take what they’ve learned out into their communities to make a difference. The group meets weekly to learn technical skills, broadband technology, digital literacy, software, networks, hardware, and some programming. The curriculum also provides them with additional skills, such as personal finance and budgeting. These skills inspire educational advancement and workforce preparation, and are led by instructor Mason Bassett, who is a student at South Puget Sound Community College, with plans to transfer soon to the University of Washington. “It was interesting to learn about computers and other technology. My favorite part was learning how to take apart the computers and then how to put them back together,” notes Jamal Poole, an eight grade student in Comcast’s Digital Connectors program. Bassett and the kids have learned a lot over the year, but what they all have enjoyed the most is working on their final projects. In order to complete the program, each student must complete a culminating video project. The topics vary from student to student. Some chose a current event; others featured a popular artist, while some chose to explore a controversial subject. One option is more personal – students create a “Where I’m From” poem transformed into a video format. “These poems are always my favorites. They are very personal,” says Bassett. This year one student created a video about the Boston Marathon bombing, another is creating a video about wolves, one a video featuring musical artist Nicki Minaj, and two are completing the poem. Kids received instruction on how to use Windows Movie Maker, video editing software. “We also went over movie and story lines, and the plot line of a basic story. They are learning how to implement audio with video and how to express a message. The students are getting exposed to a new medium,” Bassett said. 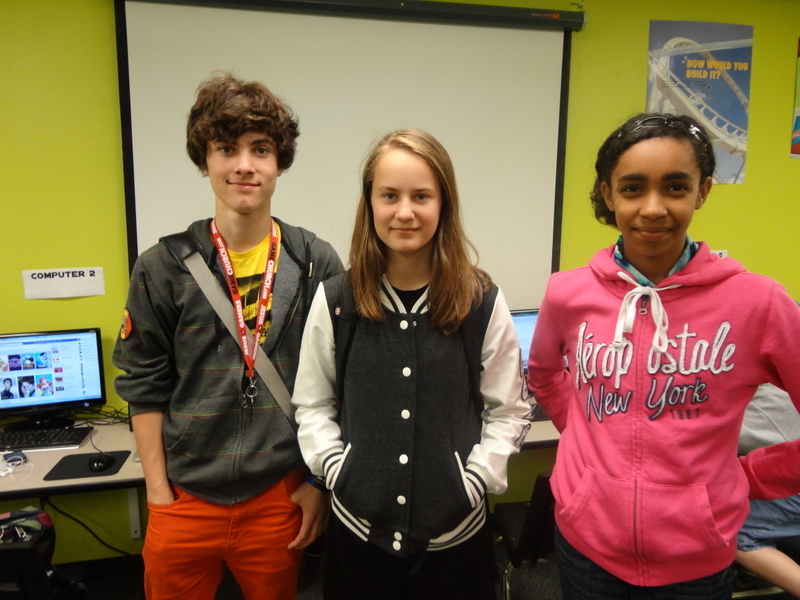 “I really enjoyed doing the program, even though the tests were really hard. Because of everything I’ve learned I get to be the videographer for my dance group’s upcoming fundraiser,” says seventh grader, Julianna Walker. The kids that completed the year-long program received recognition at a graduation ceremony in early June. They also displayed their final project. It has been a successful year. “Most of the kids were only familiar with the basics when they started the group. Now, a lot of them still have more to learn, but I know that they’ve picked up great skills. They know how to work with e-mail, use attachments, fix basic computer errors, and they’ve learned a technology vocabulary,” he said. However, perhaps the most useful lesson these kids learned has nothing to do with technology. 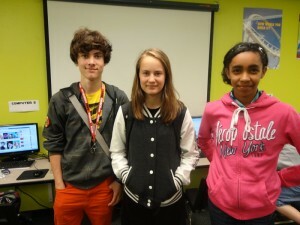 “These kids developed a great work ethic. This is a labor intensive program. They received a glimpse of what further education demands, and they are ready for it,” said Bassett. Bassett has some ideas to improve the program next year, such as implementing more team-oriented activities. He is also adamant about the role of programs like Digital Connectors. “We need technologically literate kids and teens. If these seventh graders can handle this curriculum., third, fourth, and fifth graders can learn this too. Young kids can go way beyond the expectations that adults set for them,” noted Bassett. “I would tell any teen who was thinking about doing the program that they should because they’ll learn so much about technology. I’ve learned more about computers in the Comcast program than I have in school,” summarizes sixth grader Khalie McClendon. To learn more about Comcast Digital Connectors contact Lacey Boys & Girls Clubs branch manager Shellica Trevino at 360.438.6811.